Carrying a federal tax liability is perilous at best. You cannot have a worse creditor chasing you. 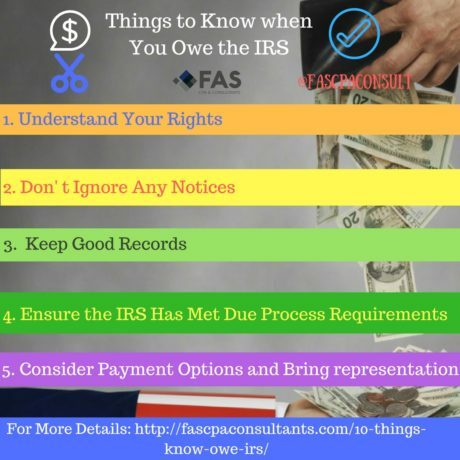 The IRS is free from the constraints that hamper creditors like your credit card supplier; they do not have to prove that you owe them money in a court of law, for example. Under Federal preemption, they are free from any protections your state might offer you against creditors. To start off with, the IRS will simply charge you interest and penalties, which will summarily be added to you outstanding balance. Although we are now in an era with relatively low interest rates, the IRS interest rates are certainly not cheap. IRS rates are based on federal short-term rates plus three percent. Federal short-term rates are reviewed and changed quarterly. IRS interest is compounded daily from the date your payment was due (usually April 15th of each year). It is very difficult for the average person to calculate the IRS interest rate with any degree of accuracy. To succeed, you will have to determine the date your payment was due. From that date onward you will have to add the current short-term interest rate plus 3%, compounded daily. Whenever the government changes the short-term interest rate, you will have to use the new interest rate from this date onward until it changes again, and so on. It is just very confusing, and most people just accept the rate the IRS provides for them. Fortunately, the IRS is extremely accurate with these calculations, and they seldom make a mistake. Penalties are usually calculated using a flat monthly percentage, but fortunately there are maximum caps. Penalties of the IRS is such a vast topic that it could fill a book on its own. Levies, (sometimes referred to as garnishment) by the IRS against your bank account and wages, simply put, means the IRS seizes cash liquid assets from you. A levy or a garnishment is a collection action by a creditor to satisfy an outstanding debt. Your run-of the mill creditor will seize assets that belong to you and auction if off to offset your debt. It is quite a tedious process to actually seize property, to remove it and auction it off, in order to raise cash, and the IRS with its extraordinary authority to seize anything you own, normally prefers to put a levy on your money and income. In terms of law, you have a right of due process. This means that the IRS has to inform you that they plan to seize (levy) your assets. The IRS has to inform you in writing, by way of certified mail, of their intention to take enforcement action against you and to levy your assets. This notice has to be given by certified mail. The date of the IRS’s Notice of Intent to Levy signals the start date of your notice period, and you have 30-days from the date of the notice, before they will proceed with their intended action. After the end of the 30-days, you will receive a second notice, a Final Note of Intention to Levy which will inform you that you have a right to a collection due process hearing. You will be granted another 30-days from the date of this notice, before the IRS will proceed. If your account has not been resolved before the end of this second 30-days period, the IRS will commence with their action against you and levy your assets. A bank levy is a freeze on your bank account. When the IRS sends a notice to your bank that your accounts are levied, the bank will immediately freeze the funds in your accounts on that day, for a period of 21 days. On the 22nd day the bank will forward ONLY the money that was available on the day notice were given, to the IRS to (partly) satisfy your tax debts. Fortunately, there is an upside. You can keep on using your bank account for anything over and above the money levied on the day of the IRS notice. It is possible to release a bank levy once it has been issued, but this rarely happens. You are granted 21 days, and you can attempt the same during this period. 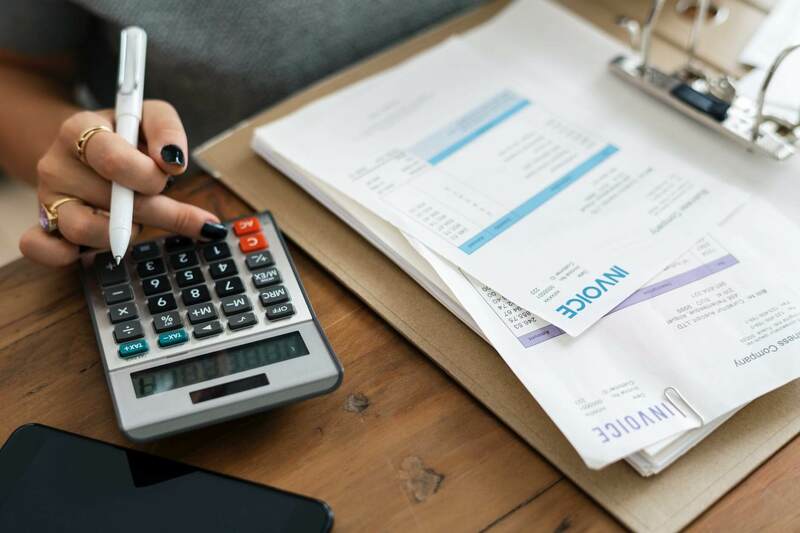 Sometimes the IRS will release a levy partially, sometimes even fully, depending on the specific circumstances of the case. You will have to show that financial hardship will follow if the levy occurs. Hardship is carefully defined. If you will subsequently be unable to pay your utility bills (water; sewage; gas and electricity, cable is definitely excluded) or if you will be forced to default on your mortgage or rent or any other payment for the maintenance of basic necessities. If the levy was sent in error, the IRS will also release it. If you qualify for a release of a bank levy, I advise that you call the bank to obtain a fax number where you can have the release faxed to. When you speak with the IRS to request the release, make sure to give them the fax number. This will speed up the process with at least a week. How frequently are you paid? Your total number of exemptions claimed on your tax returns. If you fail to complete the form for your employer, it will probably result in the employer taking much more from your pay than might be necessary. Unlike a levy against your bank account, a wage levy stays in place until the tax debt is paid in full, or you succeed in having it otherwise released. It is easier to release a wage levy than a bank levy, however. A wage levy, like a bank levy, can be released on grounds of resulting hardship, or if it was filed in error. A wage levy has a third option – you can have a wage levy released for entering into a resolution with the IRS AFTER the levy was sent. If you receive a wage levy on Monday and you call the IRS to arrange a payment plan on Tuesday, the IRS will immediately release the levy. It is again advisable to obtain your employer’s fax number for the release of the levy prior to calling the IRS, in order to expedite any release. A lien is a legal right or interest a creditor claims on your property. A case in point would be if you own a house and have a mortgage. The mortgage is actually the interest that the bank or lender owns on your property. Similarly, an IRS tax lien is a filing with your local court that grants the Federal government an automatic interest in your property, and the lien becomes part of the public record. This means that your neighbors or peers could now find out about your personal tax problems. This is driven by tax debt resolution companies that closely monitor these public record filings. As soon as a new lien is filed, your name and address becomes part of the public record, and these operators will start calling. They will use deceitful and even intimidating tactics to push you into hiring them to solve your problems. I cannot personally attest to which, if any, of these companies actually provide proper representation, but their tactics are certainly not above reproach. A tax lien will also appear on your credit report, and it will drastically lower your credit score. This will undoubtedly prevent you from obtaining the best interest rates, and might even exclude your from accessing credit altogether. More and more recruitment managers also include a candidate’s credit report before hiring new staff. A tax lien by the IRS can actually cost you that new job you were gunning for. Generally speaking, the only way to have a Federal tax lien released in full is to create a zero dollar balance with your IRS account. In the Resolution section of this book, we will cover this in more detail, but suffice to say, that the above does not mean that you necessarily have to pay the balance in full. A lien will have a $0 balance when you pay it off in full, when you pay of an accepted offer in compromise (settlement) in full or when the statute of limitations expires. In certain situations the IRS will withdraw and subordinate their liens. A withdrawal is not exactly the same thing as a full release, but it does bring about the removal of the lien from public records. A recent IRS initiative, the Fresh State Initiative, if you qualify for it and agree to it after three months of steady payments under the plan, the IRS will withdraw the lien, but this will not follow automatically. You have to fill in and mail form 12277 (Application for Withdrawal of Filed Form 668(Y), Notice of Federal Tax Lien) to them to request this withdrawal. Instances where subordination of a lien becomes necessary, for example, is when you are attempting to refinance or sell your house. When a lien is filed it grants the government an interest in your property. But there might be other interests, liens, mortgages or judgments. Every creditor with an interest in your property has to fall in line, and their specific place in the line is determined by the type of interest and the time of creation of their interest in your property. Yes, it is a crime to knowingly not pay your taxes or intentionally not file your returns. Most of my clients are terrified of going to jail for failure to pay their taxes. There is some good news however. Sources inside the IRS have confirmed to me that it costs the government an average of $250,000 to criminally prosecute a tax fraud-or evasion case. About eight percent of the population at any given moment, is non-compliant (owe a tax balance or forgot to file their returns). The government obviously cannot prosecute 8% of the US population. The IRS will always prosecute anybody that intentionally defraud the government. When it comes to knowledgeable taxpayers, such as attorneys and accountants, the risks are higher. It is presumed that their actions were intentional and fraudulent if any non-compliance arises. At the end of the day no one can say for sure that you will not be prosecuted as a matter of course, but it certainly remains unlikely – hence it would serve no purpose for you to divert your attention to criminal tax law and the possible penalties associated with it.